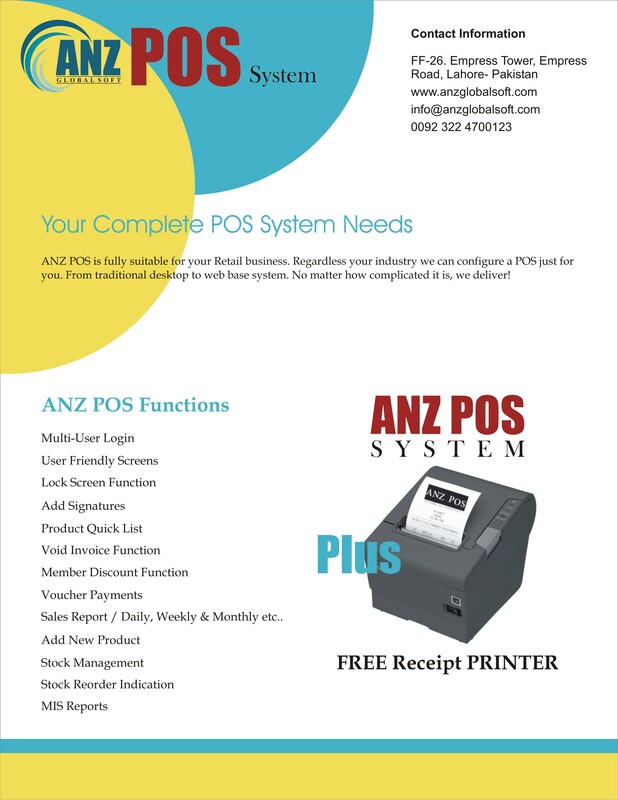 ANZ point of sale system is a combination of software and hardware that allows merchants to take transactions and simplify key day-to-day business operations. With ANZ POS system you can analyze sales data; figure out how well all the items on your shelves sell, and adjust purchasing levels accordingly. You can improve pricing accuracy by integrating bar-code scanners and credit card authorization ability with the point of sale system. We are selling one of the best point of sale system in Pakistan. Flexibility is key. Ensure your point of sale software vendor works with the payment processor/gateway of your choice, so that you can control cost. If you’re already using applications important to your business, make sure the electronic point of sale system can integrate with them seamlessly, so that you can continue using them. With one click of a button, I can see what our sales were for that day, what our returns were and how we’re doing on inventory. The old way, without having point of sale software, I’d have to look through all the data on the books and add it up manually.